In order to become an Au Pair in the US you will need to get a visa. It doesn’t matter where you come from! The first step before you can apply for a J-1 visa is to obtain a form DS-2019, which needs to be filled out by the sponsor of the exchange program (your Au Pair agency – you will find a list of sponsors here). Your local Au Pair agency will send you the Form DS-2019. If you have any questions about the form DS-2019, please contact your local Au Pair agency. After you received the form DS-2019 from them, you can start applying for the J-1 visa on the website of the U.S. Embassy. There, you need to make an appointment for an interview at the U.S. Embassy or Consulate closest to you. Make sure that you have all required documents with you and check out the security notice of your local U.S. Embassy or Consulate. Once you arrived at the embassy you will be asked couple of questions by the interviewer. Common questions for the interview are “What is your host family’s name?”, “What are your host children’s names?” and “What do you want to do after you return to your home country?” These questions are supposed to ensure that you have the intention to come to the U.S. to work there as an Au Pair only and return to your home country after your stay. After the interview, the Consular Officer will decide if you receive the J-1 visa. After the Officer’s approval, your passport will be sent back to you via mail. Thus, keep in mind that this might take a few days (usually between 3 to 10 work days) and that it takes a while before you get your passport back. Your visa is valid for 12 months. 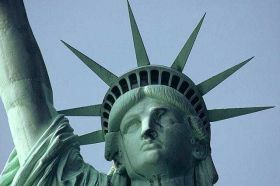 If you stay in the U.S. for more than 12 months, you need to extend your visa. If you plan on arriving prior to your Au Pair stay or want to travel afterwards, you can do so. The J-1 visa allows you to stay in the U.S. 90 days before/after your Au Pair stay. 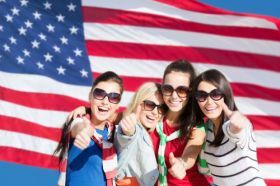 Since recently, it is also possible to return as an Au Pair to the USA on a J-1 visa if your last stay as an Au Pair is at least two years ago. Hence, after two years, it is possible for you to work as an Au Pair in the USA again. Now you can get started. It is very important that you don’t forget to bring your passport with your visa and the DS form included! Without these documents you won’t be allowed to enter the US! Click here to find some more information.